Welcome to Blue Koi Services! 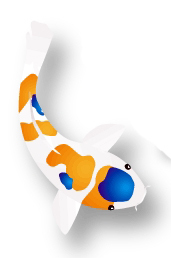 Blue Koi is a service company based out of Torrance California specializing in the maintenance of Koi ponds and the installation of filtration systems. We have 14 years of experience in fish health, filtration, and water chemistry in order to provide quality aquatic environments for Koi. We can work with designers and architects to create unique aquatic environments. We are proud of our accomplishments in providing responsible and consistent service since 2002. We offer the highest quality filtration systems in the business at competitive prices. We recommend the Ultima II biological filtration system and UV sterilizers manufactured by Aqua Ultraviolet. We can also install energy efficient water pumps and provide supplies for all you pond needs.